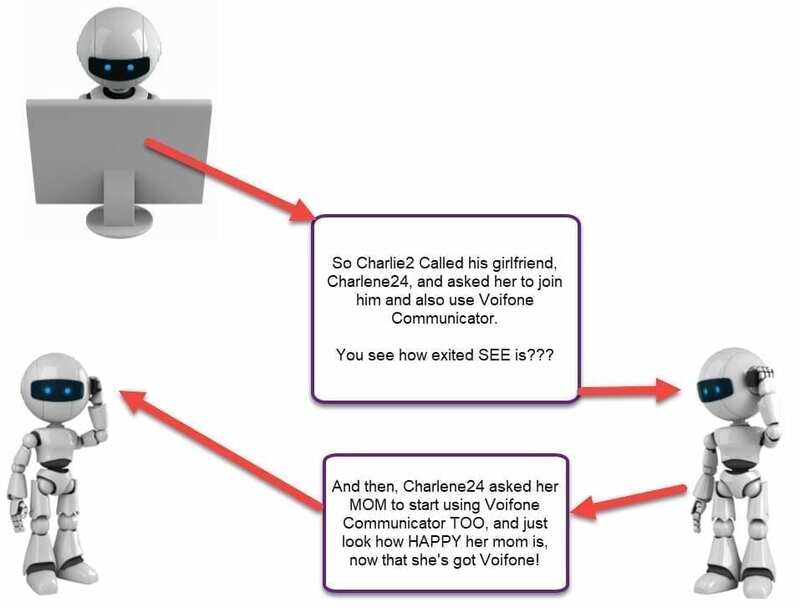 What’s Leveraged Marketing Automation? It’s a partnership between each Affiliate and the Company. 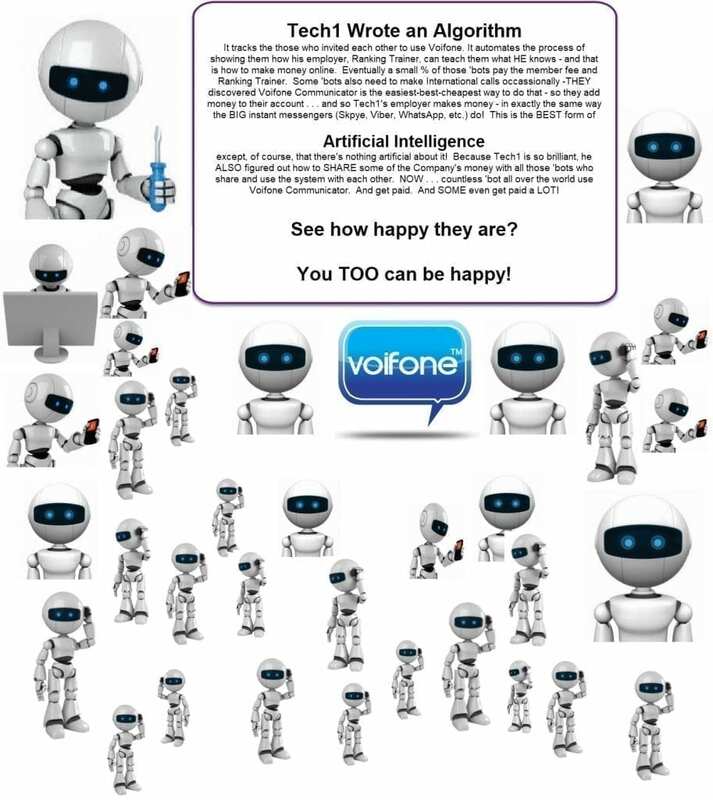 In this partnership, the Company runs automated marketing campaigns and the Affiliates participate by referring people to use the apps promoted by the Company (like Voifone). The Concept. 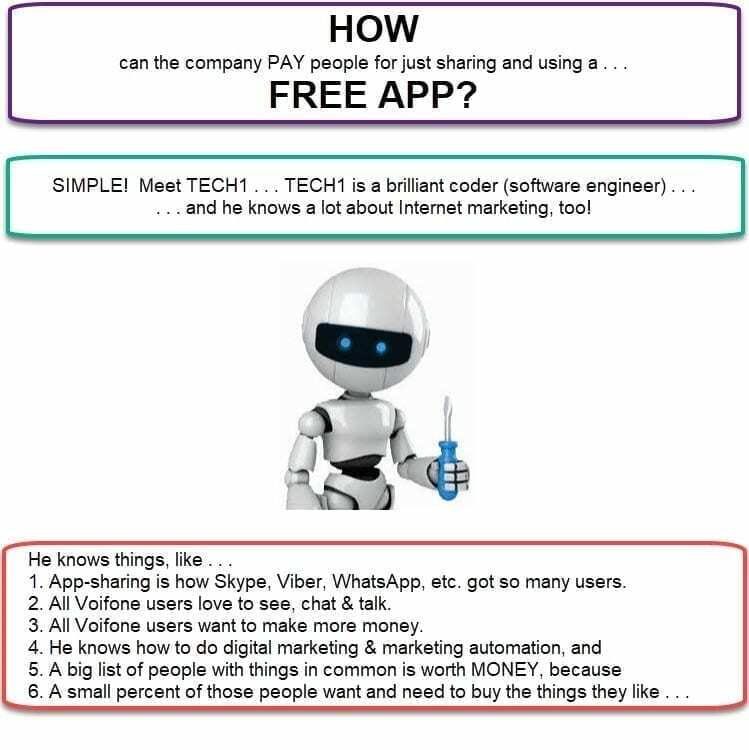 Why do companies give away free and valuable apps? 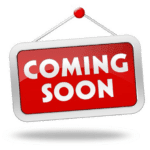 To build a list of people to whom another product/service can be sold. Apps that require at least 2 users (like WhatsApp, Skype, Viber, etc.) are the most effective because word-of-mouth advertising is implemented each time somebody asks a friend/relative/contact to use those apps for free communications. What Does “Leveraged” Mean? It means the Company conducts automated marketing campaigns to sell its services and shares a percent of sales from MORE than just the customers you refer. Thus, there are TWO items leveraged: Marketing Automation Campaigns & Commissions from more customers than your own. We think this is the easiest way to earn residual and passive income ever invented! 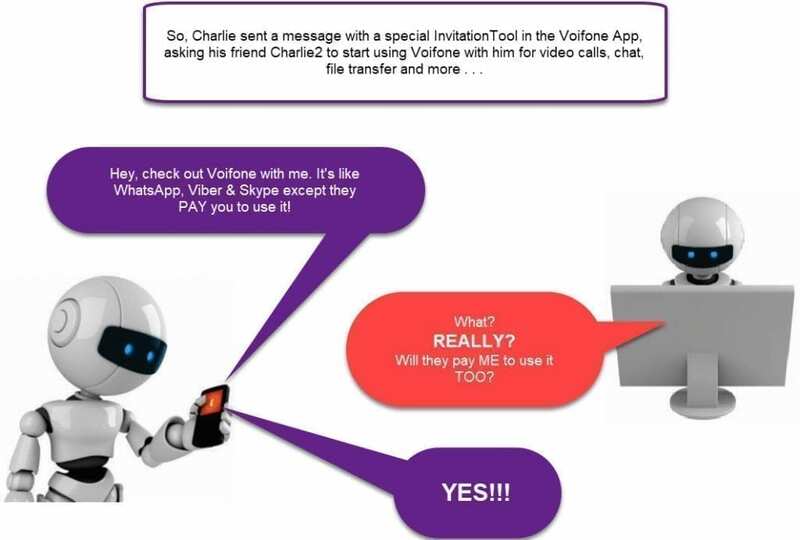 Just install Voifone Communicator on your Android or iPhone share it with others by using it with them! Use it just like you would any other Instant Messenger app. 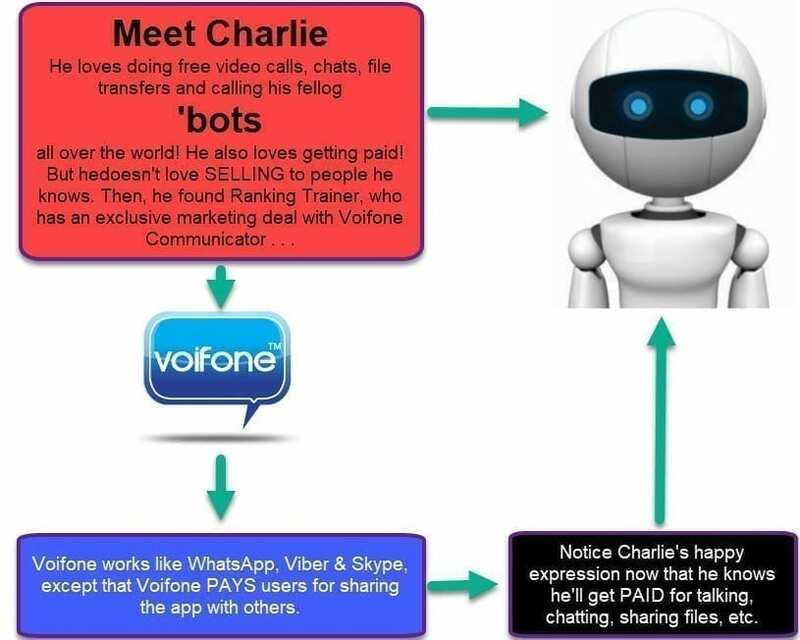 The entire process of registering Voifone users as Affiliates, running the LMA campaigns and notifying users of their earnings is handled completely in the background. The more you share the app, the higher your income is likely to be.
. . . and the process continues . . . Many of your contacts will continue this process with THEIR contacts. This is exactly how the largest Instant Messaging apps grew so big. Users share the app with others so they can use it. These companies are LARGE for one reason: A small percent of users pay those companies – usually for International calling service. LMA expands on this basic concept to include Affiliates in the mix of those who benefit from the revenue from these users. So Here’s What Happened . . .